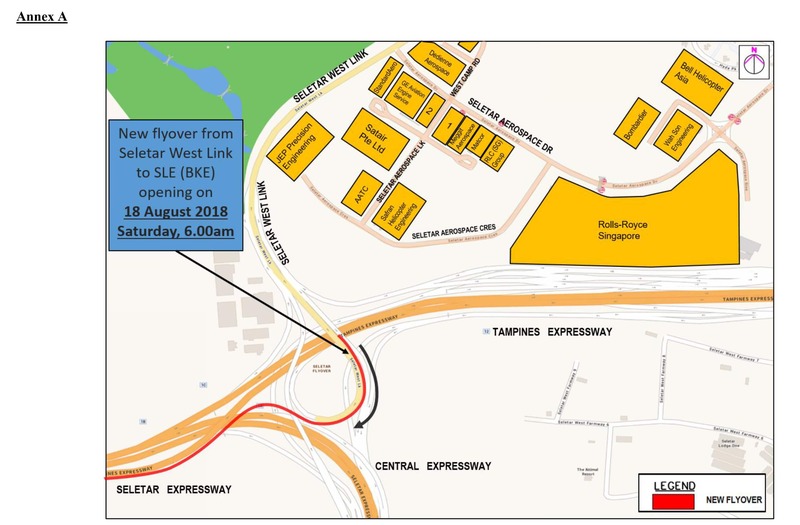 The construction of a new flyover from Seletar West Link to Seletar Expressway (SLE) has been completed and will open on Saturday, 18 August 2018, at 6:00am. The new flyover will provide more travel options between Seletar Aerospace Park / Yishun Town and SLE towards Woodlands / BKE. Motorists will be able to travel to SLE (BKE) / Woodlands directly from Seletar West Link, and bypass Seletar Aerospace Flyover.